“With their new electronic platform, it takes a lot of the headaches away,” a Leevers Supermarkets official said about Argo Group’s new digitized store inspections product. When a Leevers Supermarkets store in Denver began using a new app- and web-based safety inspection platform, the younger employees quickly took to it. The less tech-savvy employees? Not so much. At least at first. Florez is referring to a digitized, state-of-the-art inspections platform called Argo Risk Tech. Global specialty insurer Argo Group began offering Argo Risk Tech to clients in the grocery and retail sector in January. Around that time, Leevers – dissatisfied with its insurance carrier in general – was shopping around for a new insurer. 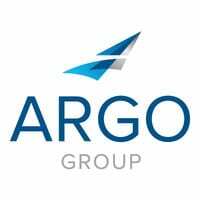 When they heard about Argo Group and its Argo Risk Tech platform, they felt it was the right time to make a change. Instead of clipboards, employees simply use an app on a smartphone or tablet that’s paired with NFC or Bluetooth technology. Using sensors, beacons or QR codes strategically placed throughout a store, the app tracks the employee’s path during a scheduled safety walk, ensuring nothing was skipped. Since Leevers began using Argo Risk Tech at its Florida stores in January and its Colorado stores in March, Florez said it’s reducing the number of slip-and-fall claims. “We have noticed a drop,” Florez said. He’s also noticing the stores are generally cleaner. Before, employees would perform a safety walk without immediately tending to any issues such as tracked mud or spills, leaving it for someone to take care of later. Customers are also taking notice. “On one occasion a lady said it was the first time I’d seen a grocery store employee pick something up off the floor,” Florez said. Before Leevers was using Argo Risk Tech, Florez noticed some of the teenage employees would falsify the paperwork to get the safety walks – referred to in the grocery store industry as sweep logs – over with sooner. Properly filing all the necessary paperwork, which can sometimes get lost, was another challenge. Adding to that frustration, customers who claimed they slipped and fell were compensated financially regardless of whether it actually happened. “It was just a money giveaway,” Florez said. “We feel like we’re closing more cases with zero or little payout,” he said. Part of that is the fact that you can’t cut corners using Argo Risk Tech. In other words, it can prove employees did, in fact, perform their safety walks and found no spills at the time a slip-and-fall accident allegedly happened. That’s because Argo Risk Tech’s electronic records are secure, encrypted and unalterable. They create a documented defense that has been tested and validated in courts from New York to California. “They can’t prove any negligence on us,” he said. In the few months they’ve been using Argo Risk Tech, Florez is extremely pleased with the results. Follow these guidelines for more effective communication in the digital age.